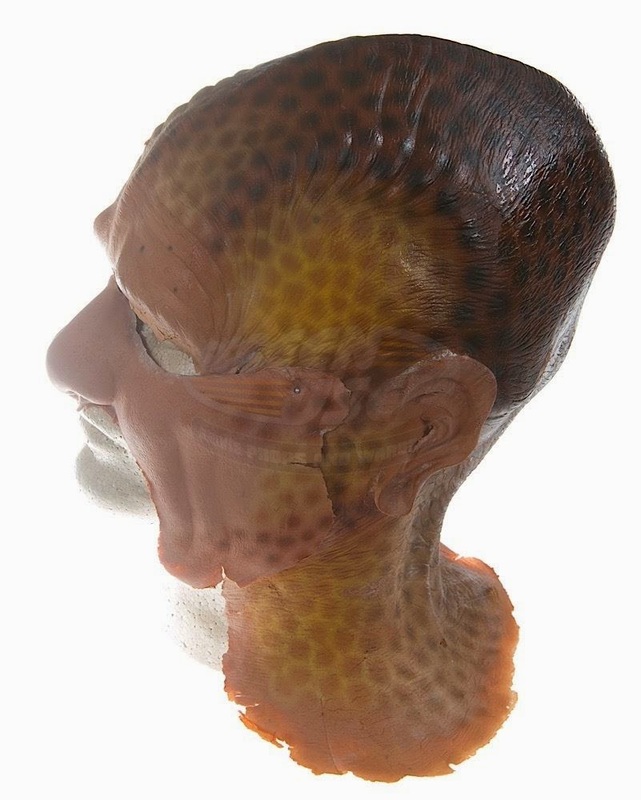 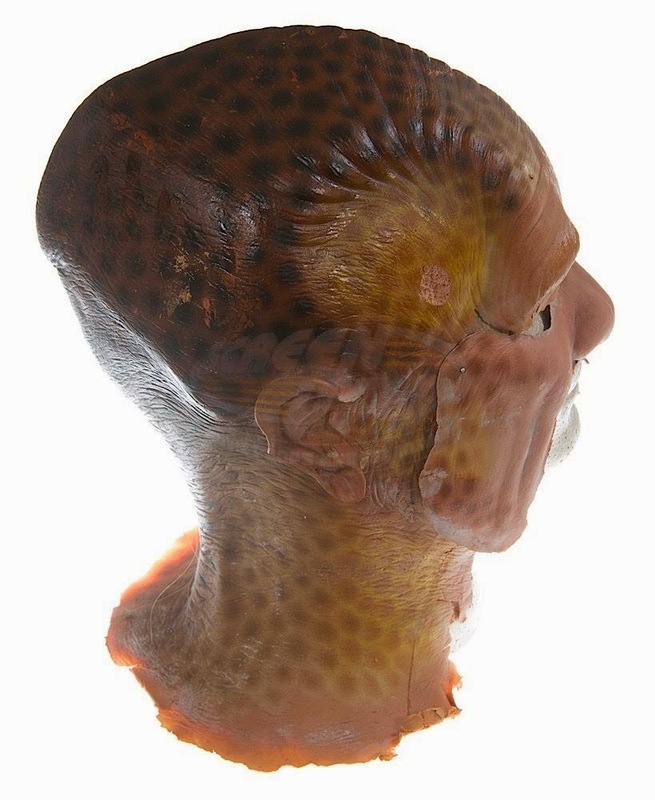 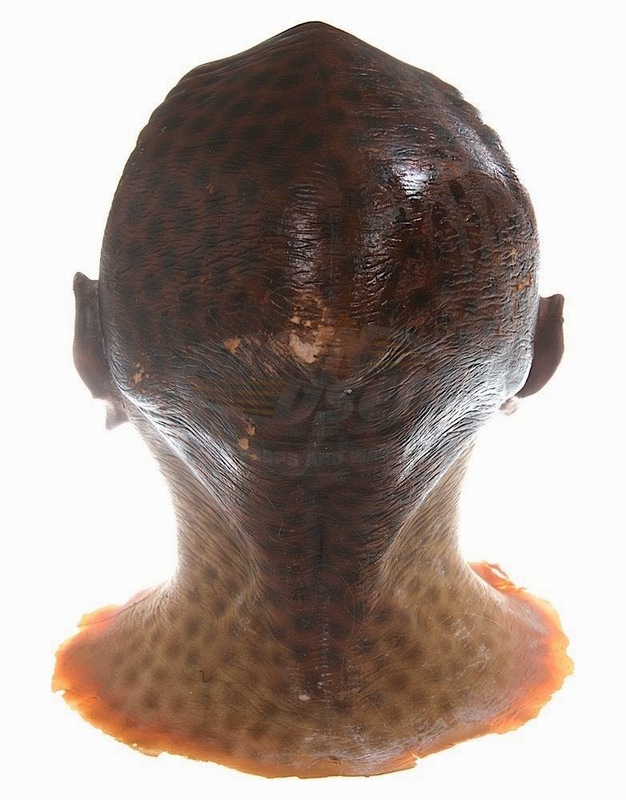 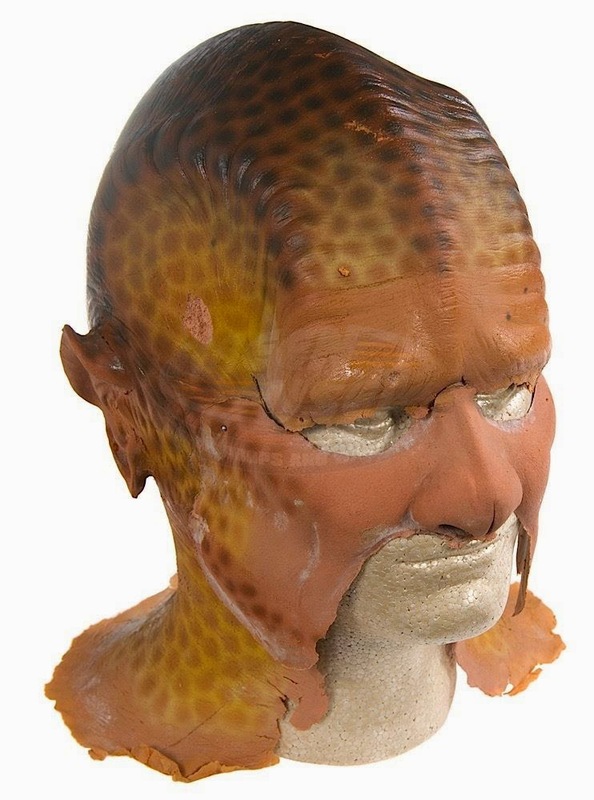 Presented below are some detailed images of a screen used set of Talaxian alien head and face appliances worn by actor Ethan Phillips in his recurring role on Star Trek: Voyager as the engaging Advisor, Cook and Morale Officer "Neelix". 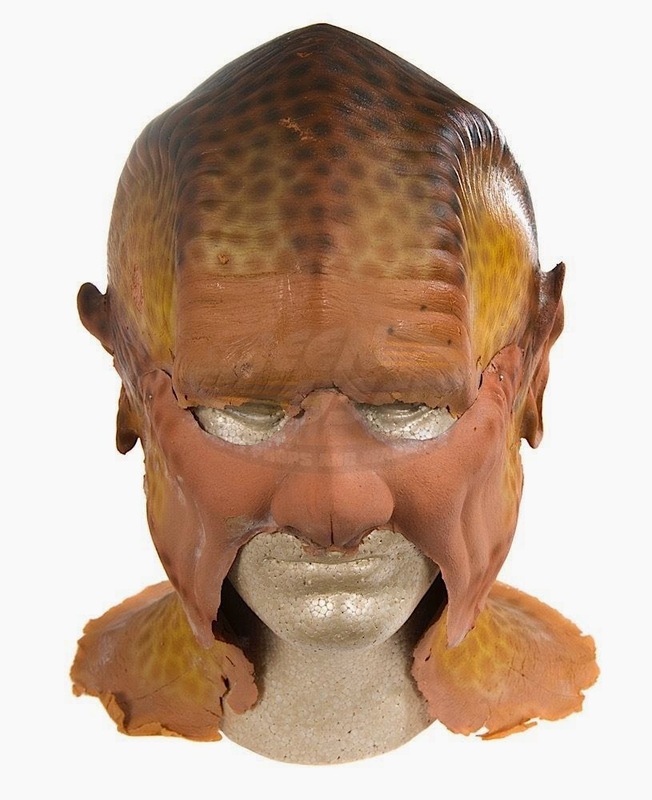 These makeup prosthetics were recently offered as Lot 394 in the ScreenUsed Spring 2015 Prop and Wardrobe Auction, and consist of a full one piece head section as well as a nose and cheeks section that feature extensive custom airbrush detailing. 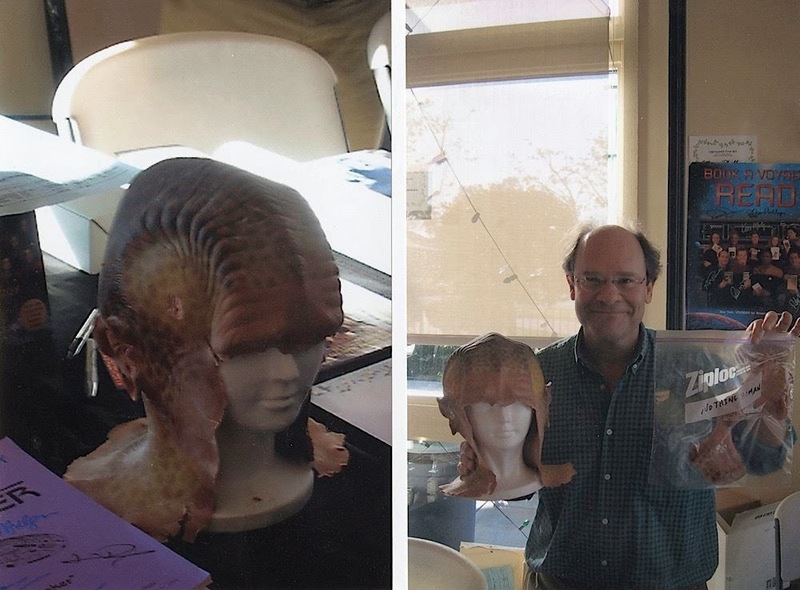 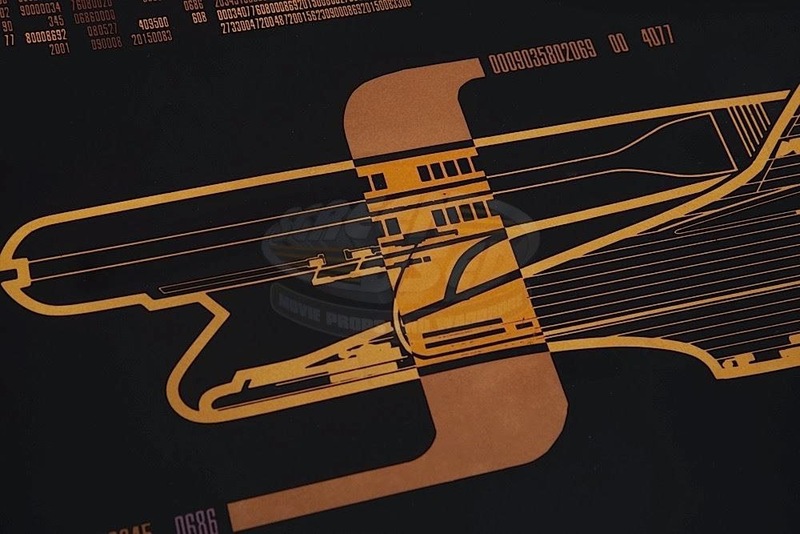 They exhibit some wear from production usage, and were part of actor Ethan Phillips personal memorabilia collection for a time after the completion of filming of the Voyager series. 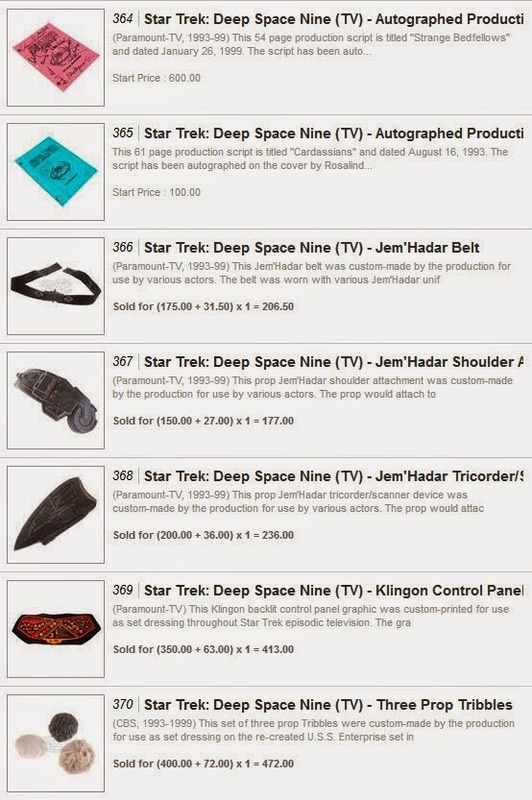 Photos courtesy ScreenUsed (http://www.screenused.com/). 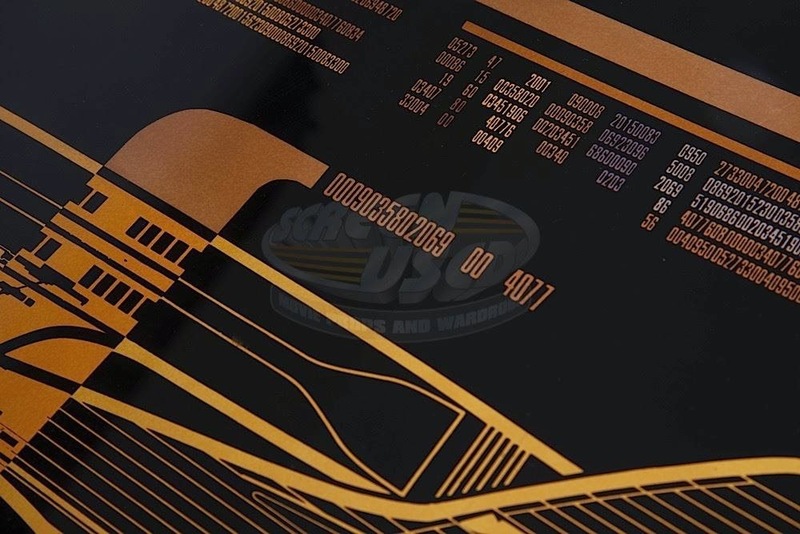 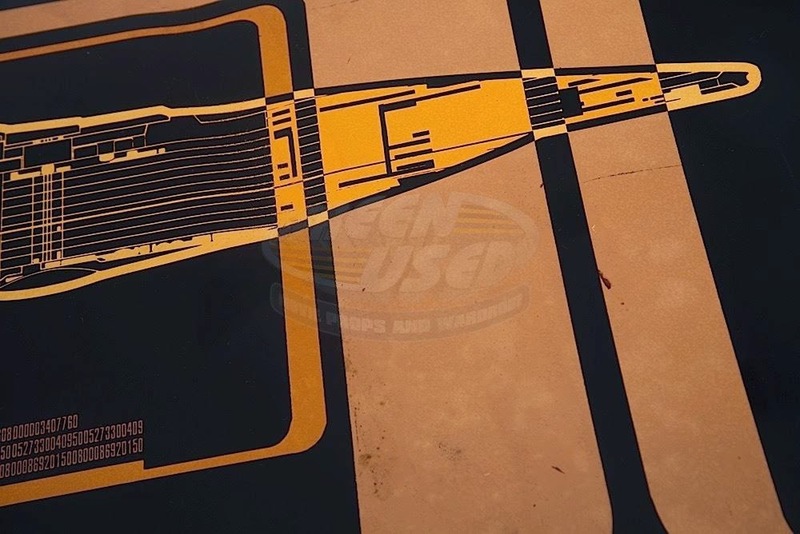 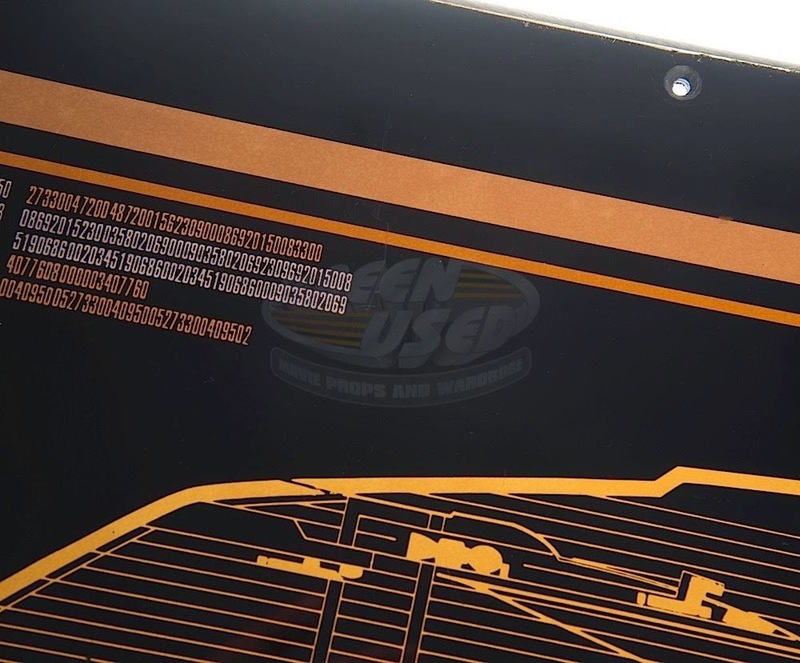 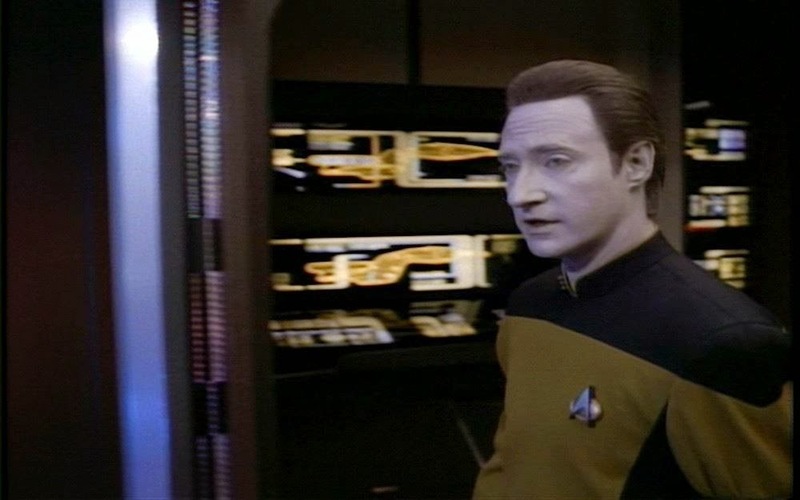 Presented below are some detailed images of a screen used LCARS panel from the U.S.S. 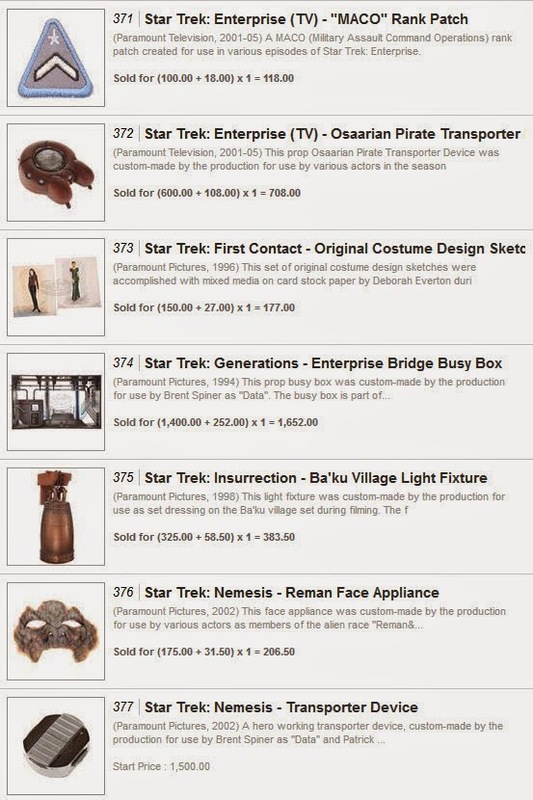 Enterprise D Engineering set of Star Trek: TNG that recently sold for $2950 as Lot 389 in the ScreenUsed Spring 2015 Prop and Wardrobe Auction. 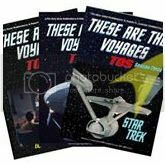 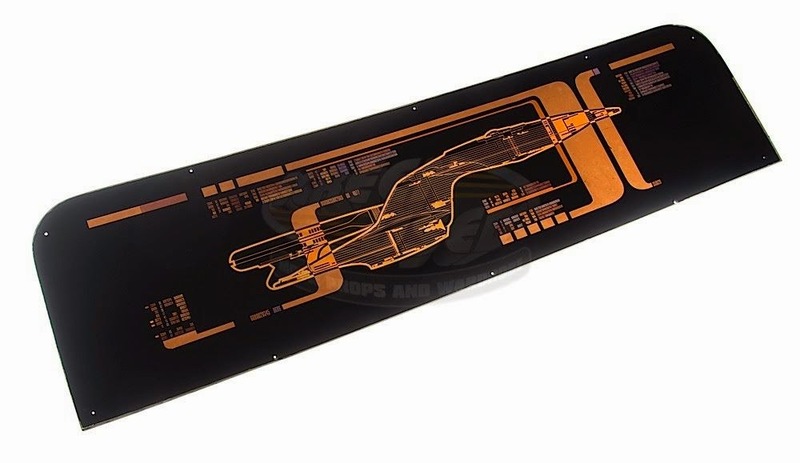 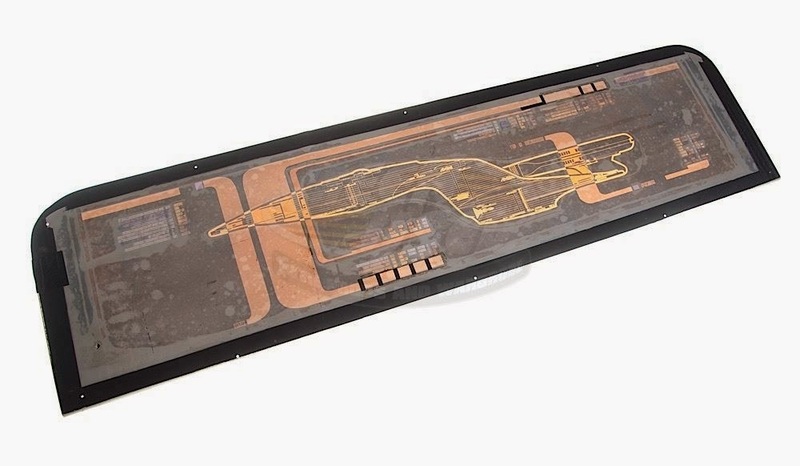 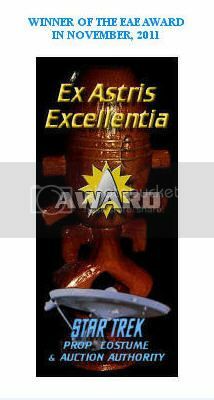 This back lit smoked black plexiglass panel measures 51" wide x 13.5" tall and features a particularly attractive Okudagram display that includes a large Starboard Elevation view of the Galaxy class starship. 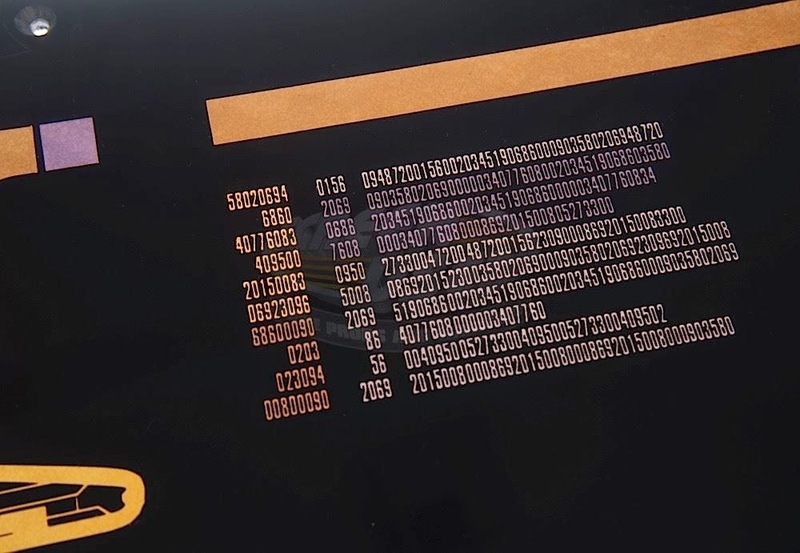 Some screen captures from the series that feature this panel are shown following the modern day images. 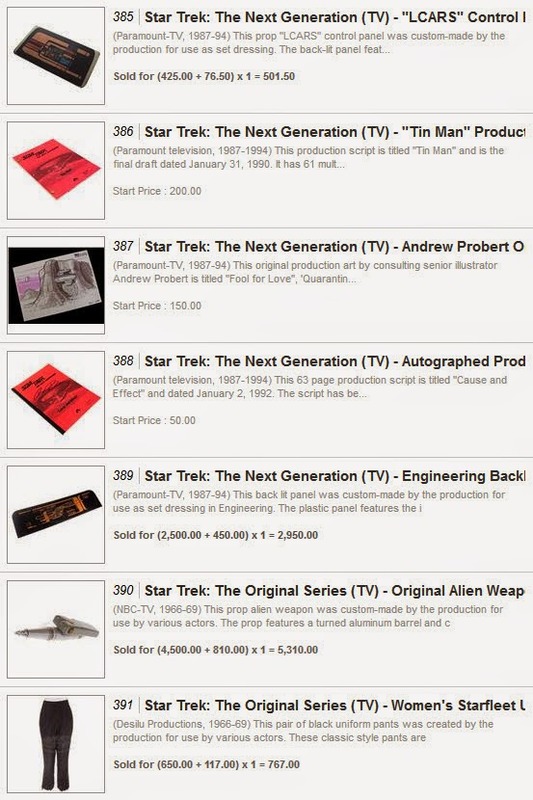 Prop photos courtesy ScreenUsed (http://screenused.com/). 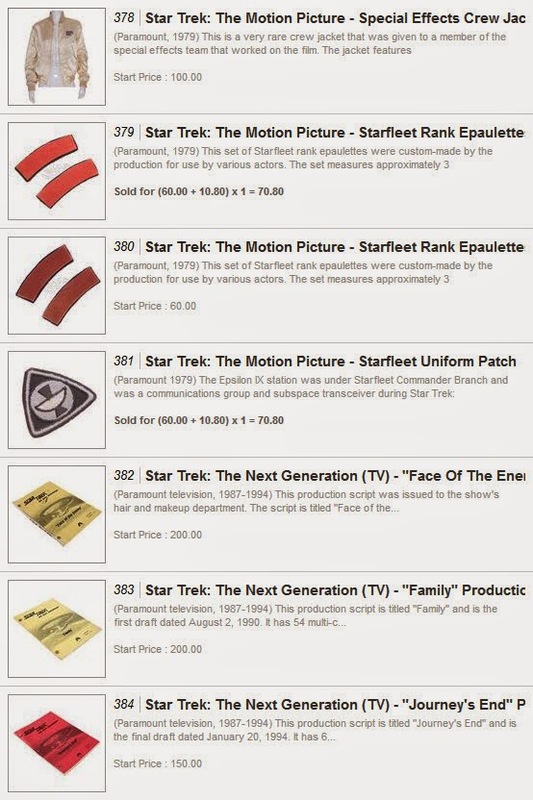 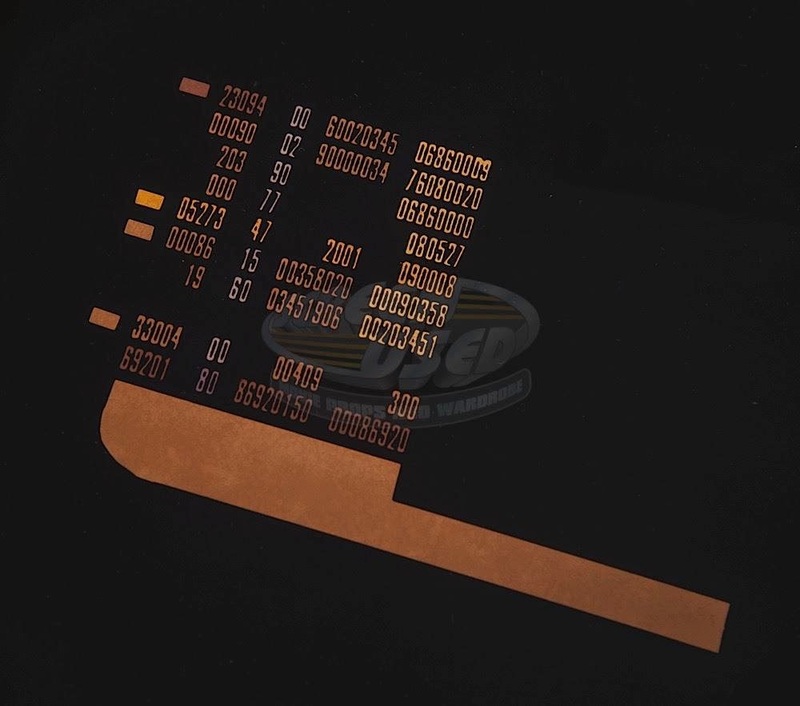 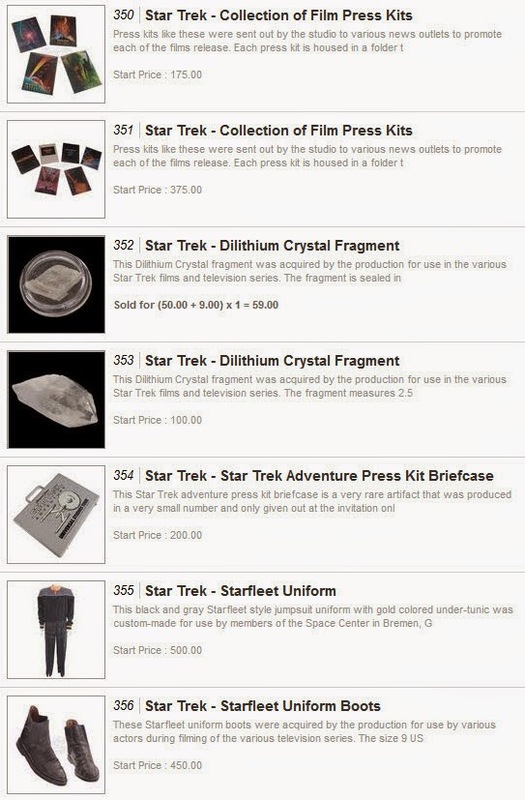 Presented below is the complete set of final prices realized for the 46 lots of Star Trek memorabilia that were offered in the ScreenUsed Spring 2015 Movie Prop and Wardrobe Auction; which concluded yesterday in a live online bidding session at iCollector.com. 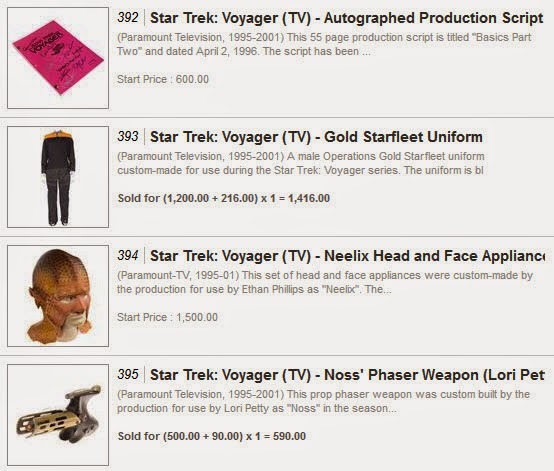 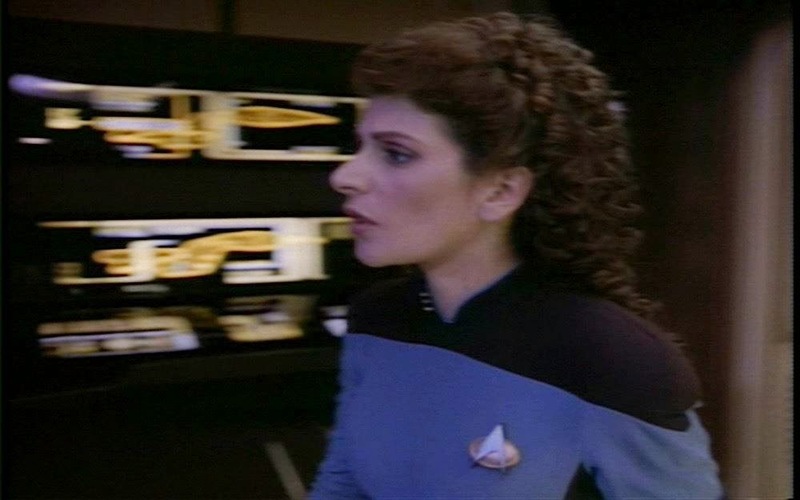 The highest price witnessed for a Star Trek item in the sale was $5,310 for a Scalosian alien weapon from the 3rd season Original Series episode "Wink of An Eye", which was later seen in the episode "The Cloud Minders". 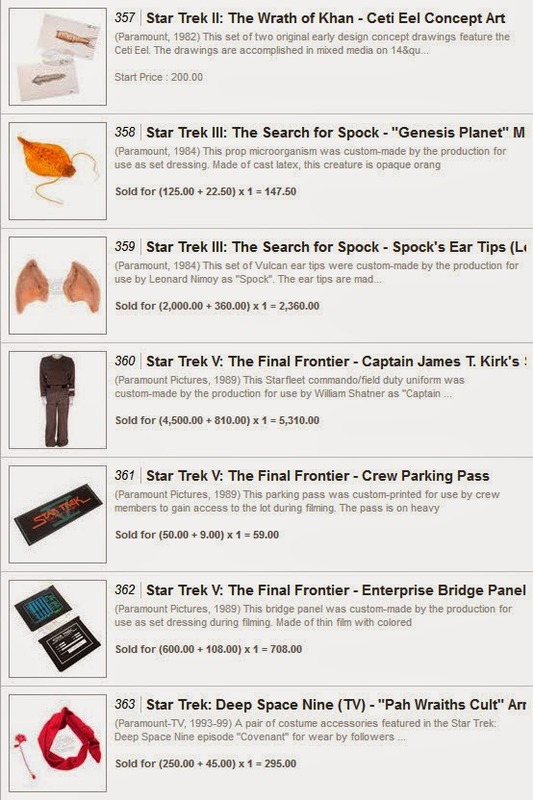 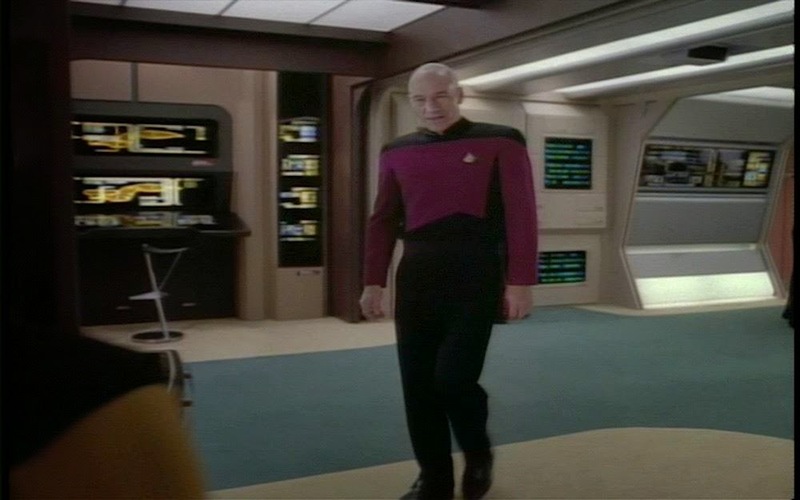 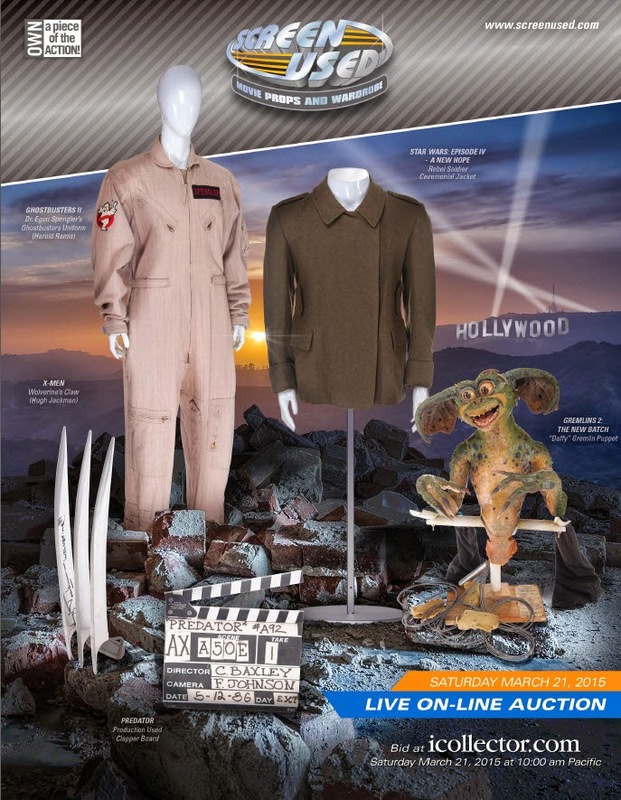 A William Shatner Starfleet commando/field duty uniform from Star Trek V: The Final Frontier also realized $5,310, and a Star Trek: TNG Engineering Backlit Panel which featured an attractive image of the Starship Enterprise sold for $2,950.